Pembroke Lodge, in Richmond Park, Richmond, W side of London. 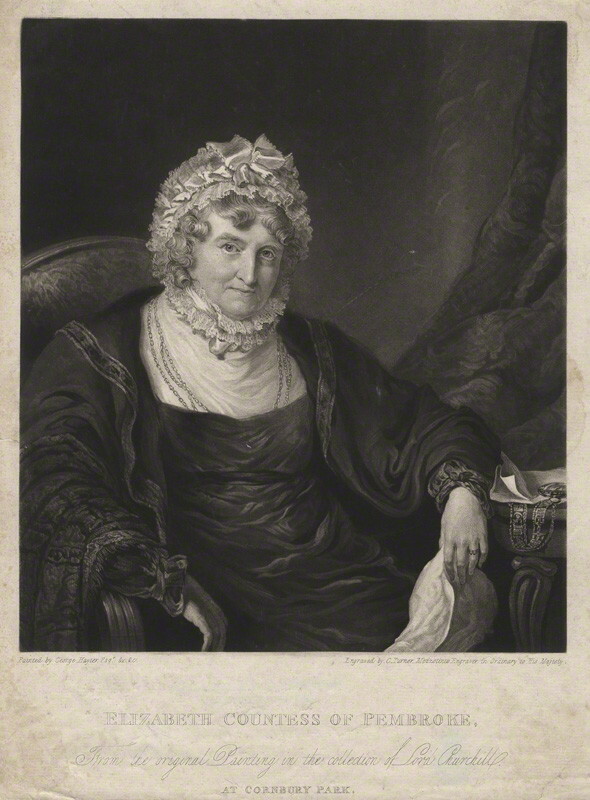 Lady Elizabeth Spencer moved to Pembroke Lodge when she finally separated from her husband the 10th Earl of Pembroke in 1788. It was put at her disposal by her admirer George III. The 10th Earl died 1794. Lady Elizabeth Spencer died 1831. 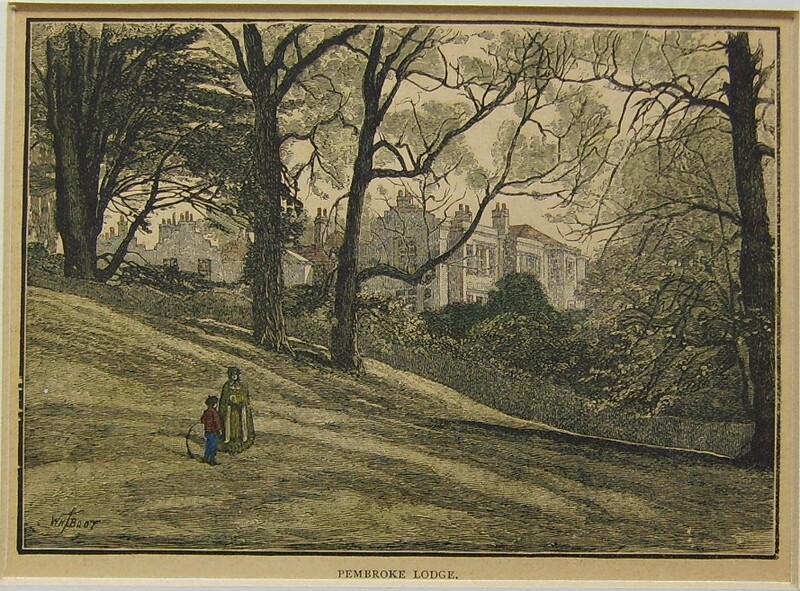 Pembroke Lodge was granted by Victoria to Lord John Russell in 1847. Bertrand Russell grew up here. Pembroke Lodge is now a Tea Rooms and venue for events. Pembroke Lodge, Richmond Park, London. Photo 2009. See larger and full size. See more Creative Commons images. And here. Print of 1885. From here. 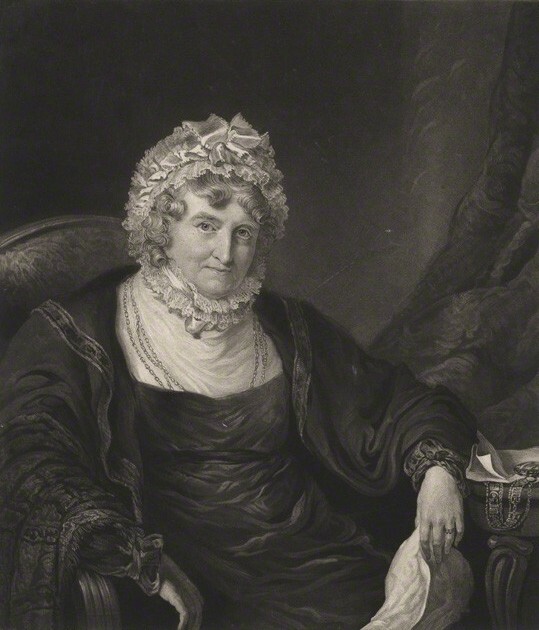 Lady Elizabeth Spencer, in old age. Engraving by Charles Turner, after portrait by Sir George Hayter, published 1824.